He practiced Karate, Kickboxing & Boxing as he idolized the accomplished fighters he trained amongst. 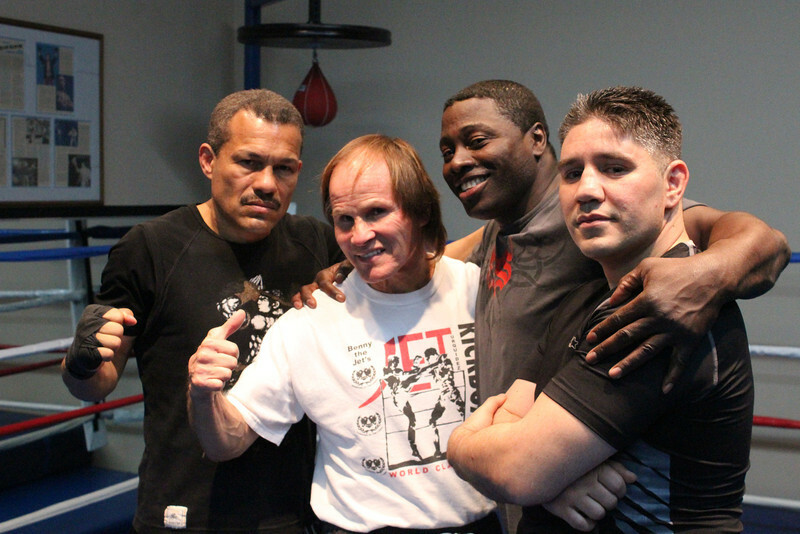 In 1994 the Jet Center closed its door for financial reasons, which then Mark Parra, a student of Benny Urquidez opened up his gym appointing 7 time undefeated world champion Peter "Sugarfoot" Cunningham chief trainer of the newly opened gym. Shawn had taken a liking to "Sugarfoot's" flashy and effective style so he enrolled into Mark Parra's House of Champions. It was here that Shawn was trained for his first kickboxing fight in 1996 and was victorious. From years 1997-2001 Shawn retained a great amateur record loosing 2 of 12 fights to a decision also winning the ISKA USA title in the Super Lightweight (135 lbs.) division as well as the IKBA California title. Shawn won the ISKA title in the first ever kickboxing event in Medford, Oregon in 1998. In 2001, former champion Rick O' Kane was added as one of trainers who was known for his crafty style, muay thai style background as well as stamina conditioning. August of 2001 Shawn was invited to fight on the world famous K-1 promotion at the Bellagio Hotel in Las Vegas, NV which he won, making it his last amateur fight. In April of 2002 Shawn had his pro debut of another K-1 show at the Mirage Hotel in which he scored a second round KO over his opponent as well as getting the recognition of the best fight of the night. After winning 2 more bouts, one in San Gabriel Valley for the IKKC light Middleweight Title and another K-1 promotion, Kru Nokweed Sri-ampai was added to the team of trainers for his strong muay thai background. The fight game was slowly changing and Shawn need to become an expert in using elbows and knees to compliment his great boxing abilities and use of hands and feet effectively. From years 2003 to May of 2008 Shawn fought a total of 14 times gaining 2 USA titles from the IKKC in the light welterweight division; placing him in the top 10 fighters in the ISKA and IKF world rankings. He also was apart of the first ever muay thai / MMA event in Guatemala in 2007. Shawn has extensive training over the years with notable sparring partners in boxing such as Diego "Chico" Corrales, Robert Guerrero, Lakva Sim, Gabriel Ruelas, Carlos Hernandez and Artyom Simonyan. In Kickboxing his training partners included 6 time world champion Danny Steele. Shawn has trained in Thailand in 2003 and Holland in 2005 and has fought over a dozen times throughout the North & South America.Shawn objective is to continue to fight for another few years and gain recognition of the new muay thai organization the WBC. The world boxing council currently promotes the sport of muay thai. Shawn & his trainer Kru Nokweed Sri-ampai taught Mexico's very first Muay Thai seminar of 2008. The 3 day seminar was divided into 2 parts; trainers and students. Once the 300 participants had completed the seminar they received their diploma's which are held in highest regards in the country. The diplomas were signed by the president of the WBC, Kru Nokweed Sri-ampai and the Suri Chai, the head of the Thai Embassy in Mexico. This seminar was the first of many to take place to quench the people in Mexico's thirst for the fast growing sport of muay thai. During Shawn & Nokweed's travel, reporters from La Prensa, Uno Mas Uno & Cinta Negra covered the story day to day as recognition of the historical event of muay thai sweeping the nation. In hopes of broadening his martial arts journey, Shawn now teaches the Muay Thai class twice a week at House of Champions giving him the opportunity to give back to the community who has and still supports him.